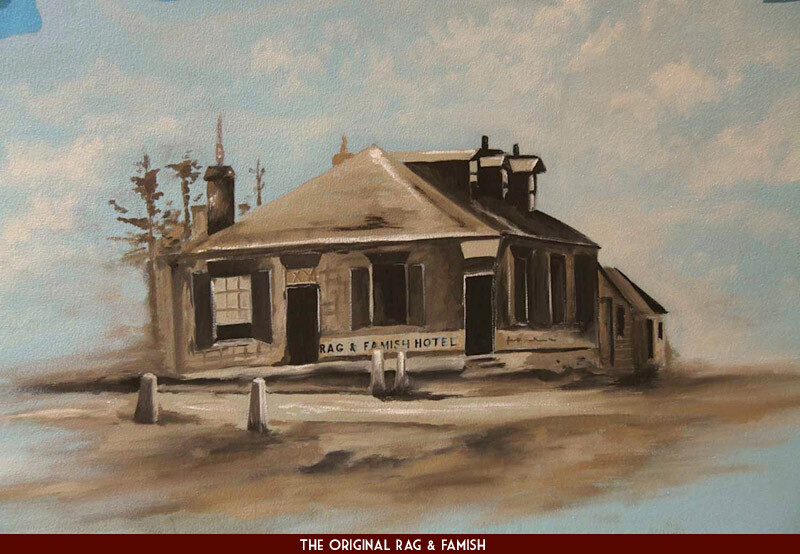 The Rag & Famish is a hotel dripping in history, with the hotel occupying it’s current site since 1860; it is North Sydney’s oldest pub still trading today! 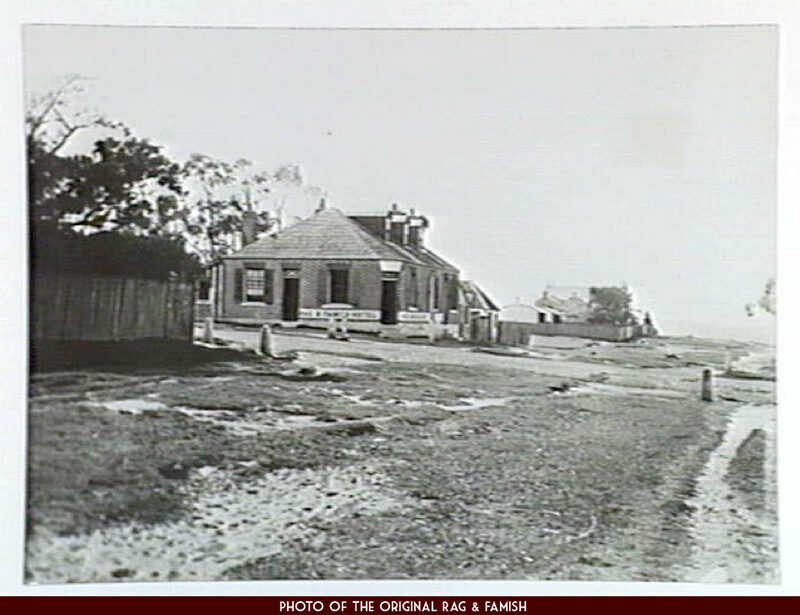 This original single storey structure, with a steep thatched roof, was known as the Sailors Return, however the eccentric Charles Bullivant purchased it in 1866 and renamed it The Rag & Famish Hotel. Charles Bullivant was born in London in 1796, at the age of 18 he joined the British Army and within a year had requested a transfer to a detachment that was leaving for Australia. In January 1816, Charles Bullivant sailed into Sydney Harbour with 218 male convicts under his command. Bullivant was in the habit of antagonising Governor Macquarie for his sympathies towards ex-convict settlers, one such antic, involving chalking up caricatures of Macquarie on the guardroom wall, earned him a reprimand and threat of court martial. Shortly after this he retired from the 46th Regiment, married Maria Ilkin from Sydney, and became a dealer of goods. In 1830 he changed occupations and became the licensee of The Three Crowns Inn on the corner of Charlotte Place (now Grosvenor & York St’s), where according to himself, he dispensed the best rum in Australia. 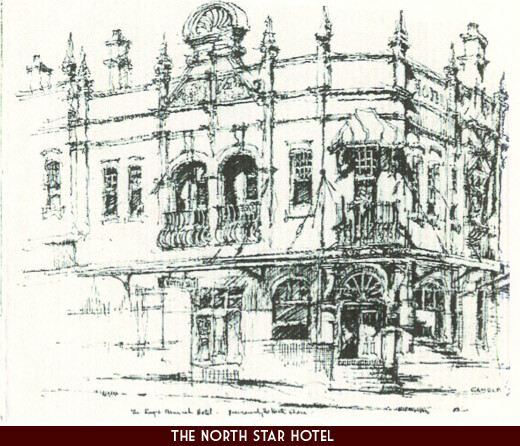 In 1866 Bullivant took ownership of the licence on the corner of Miller and Berry Street’s, St Leonards (now North Sydney), and gave it our current name The Rag & Famish Hotel. There are several stories surrounding the naming of “The Rag”, some say Bullivant chose the name to reflect his scorn for the armed services. Rag & Famish was a slang term for the Army and Navy Club and around this time an artist, John Leech, obtained much amusement out of the imaginary characters of Ensign Rag and Captain Famish. Another theory is that it comes from the quote “If you come here too often you will waste all your substance and you will be in rags before you die”. Whatever the truth, these days the Rag & Famish strives to uphold its colonial legacy with timeless décor and an emphasis on our heritage. One of Bullivant’s first orders of business was to raise the counter top of the bar to be like that of a dispensing department at an Apothecary, leading to only his very tall customers being able to purchase their drinks in comfort. However being known for his superior quality of rum gained him a regular and loyal clientele. 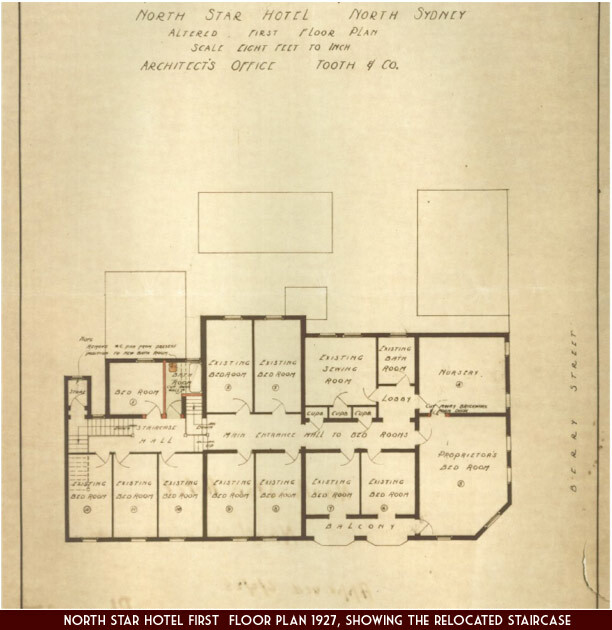 Another quirk of Bullivant’s was his secret rum bar located on the 1st floor of the hotel, if you were invited up here for a tipple it was understood you had “made the cut”. 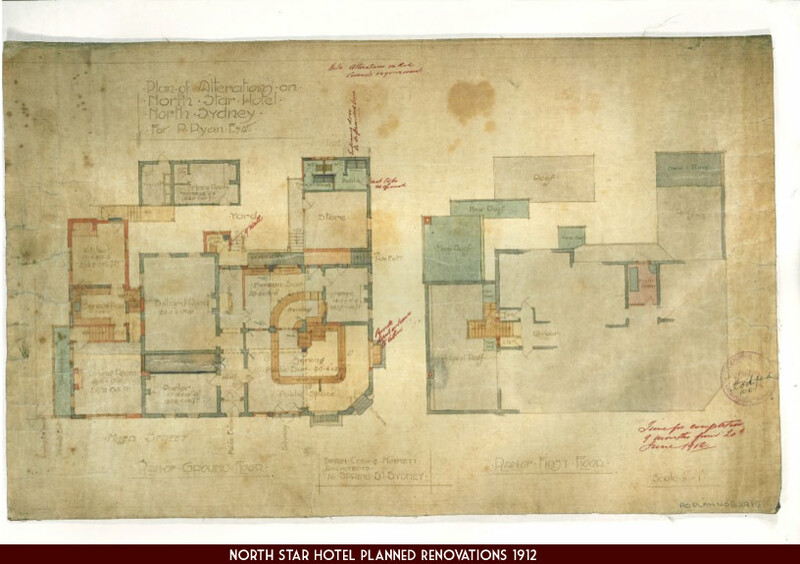 In 1873 Thomas Casey bought the hotel and renamed it the North Shore Hotel, however in 1890 disaster struck when one of the bushfires that periodically swept through the area burned the hotel to the ground. Casey rebuilt in 1892, having the words “North Shore Hotel 1892” engraved on the first storey wall (facing Berry St) which can still be seen today. 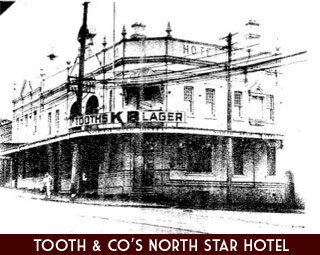 In the early 1920’s it was renamed the North Star and leased to Tooth & Company, who purchased it outright in 1934. 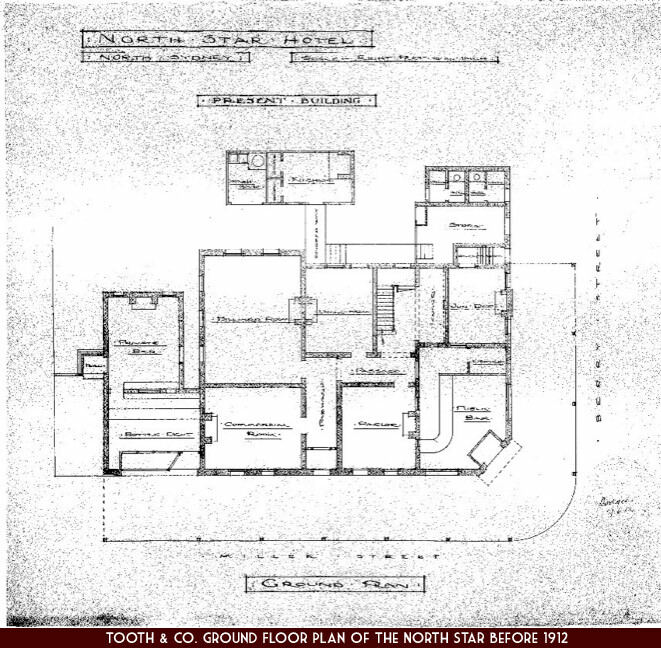 Tooth & Co. remodelled the hotel, opening up the first floor level for use as dining rooms and bars. George Calligeros purchased it on 25th, May 1975 and it remains in the family today. In the late 1980’s it became only the 2nd venue in NSW to be granted a 24 hour licence. Although extensive renovation and restoration work has been carried out in the last 100 years, few changes have been made to the external façade, which remains much as it were at the turn of the nineteenth century. Our hotel offers you the opportunity of holding your next function in a classic Australian hotel; with an emphasis on our heritage and timeless décor “The Rag” is the perfect setting for cocktail parties or sit down dinners for corporates & party-goers alike. We accept bookings Monday to Friday on an exclusive & non-exclusive basis; Saturday & Sunday bookings are exclusive hire only.